There are a growing number of organisations and individuals working to prevent the sexual abuse of older women. Sharing their leadership is an important part of creating more momentum for change. We will share their work on this page. Why are older women the fastest growing demographic of people experiencing homelessness? Why are over 70% of older people who report abuse women? What can be done to halt the rapidly increasing number of older women experiencing social disadvantage? 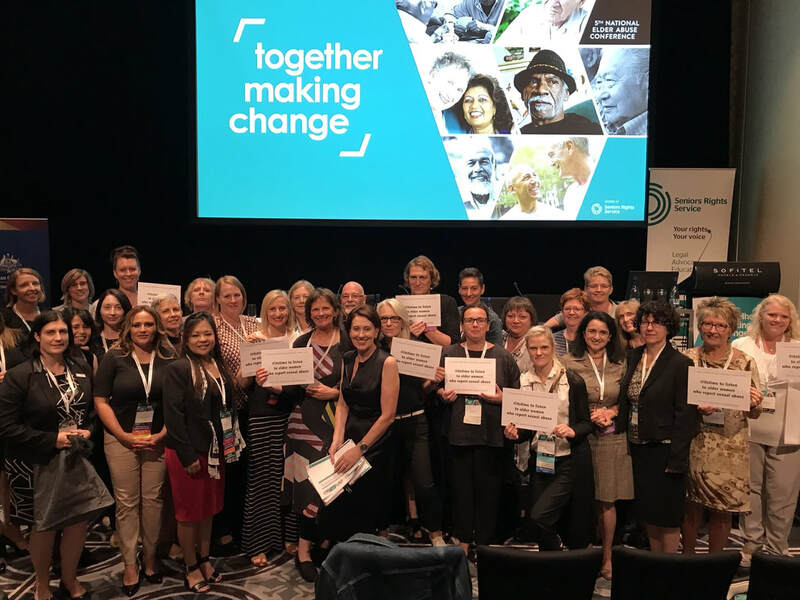 Congratulation to Daisy Smith, Lyndal Bugeja, Nicola Cunningham and Joe Ibrahim ​on the publication of your research on older women who are sexually abused in residential aged care. Copy of the literature review here and research here. 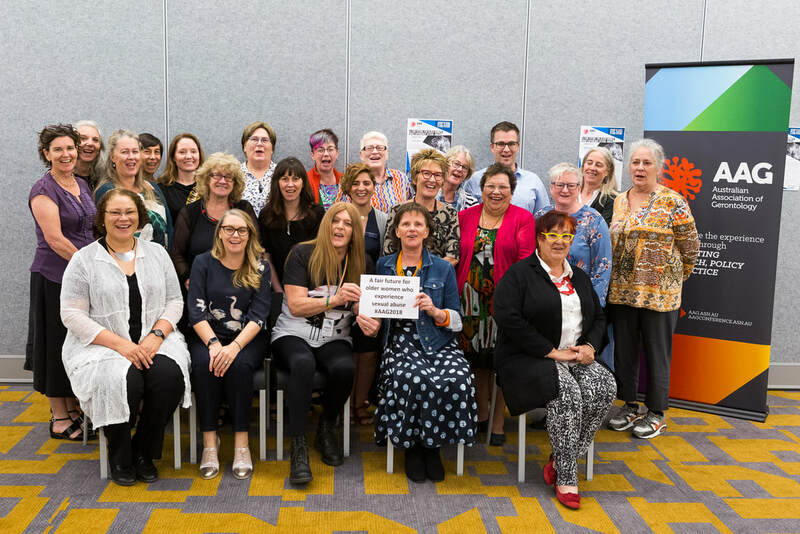 The Australian Association of Gerontology hosted a workshop on sexual abuse of older women, prior to their annual conference in November. 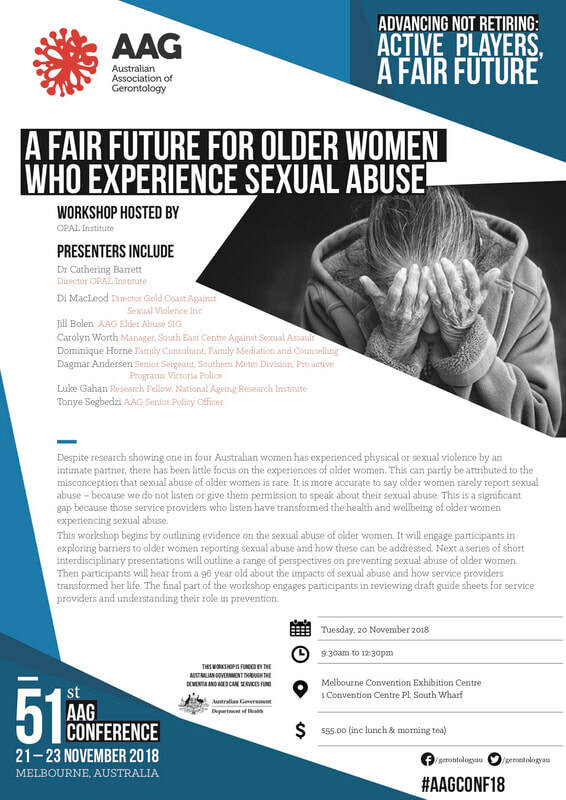 The workshop explored how we can create a fair future for older women who experience sexual abuse. Thank you to the experts and participants (below) who contributed to a fabulous workshop and we look forward to the AAG's workshop report. 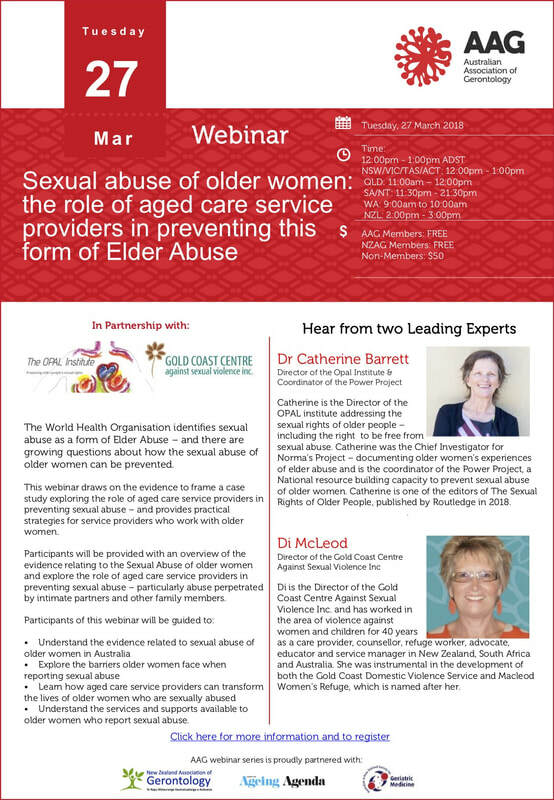 Thank you to the Australian Association of Gerontology for the opportunity to present a webinar on preventing the sexual abuse of older women. It is so important that service providers understand the power they have to prevent the sexual abuse of older women. 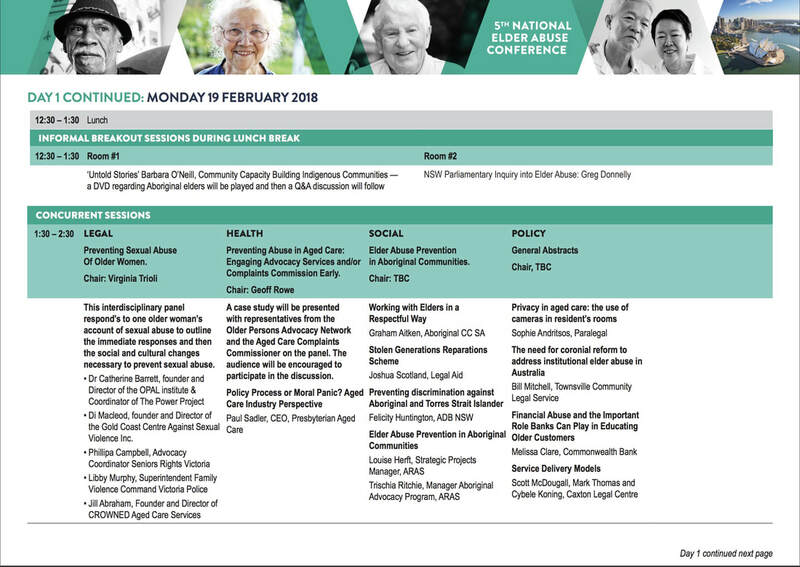 Thank you to Senior's Rights Service in New South Wales who hosted Australia's first interdisciplinary panel on preventing the sexual abuse of older women at their National Elder Abuse Prevention Conference in Sydney in 2018. This is an important step in raising awareness of the need to include sexual abuse in strategies to prevent Elder Abuse. After the panel we will invite delegates to share their commitment to the Campaign slogan: #itstime to listen to older women who report sexual abuse. ​You can watch the one hour video of the panel by clicking the link here. Information about the sexual assault of older women and men is difficult to come by as most resources focus on physical, emotional or financial abuse. In 2012 SECASA, in conjunction with Medical students from Monash University’s’ Community Based Project, undertook research and created some resources on this topic. This collection contains the most relevant data the students found.It also has the three fact sheets that were created by the project, one for victim/survivors, one for carers and one for workers. There is also a powerpoint and audio recording of the presentation of their findings.It is hoped this collection will be added to over time.